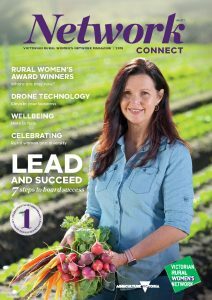 Enjoy the first edition of the annual Network Connect magazine, launched by Minister for Agriculture, the Hon. Jaala Pulford. Discover useful resources, practical business advice and the latest research on wellbeing to support you on your personal and professional journey. To read the magazine download the pdf here or word docx version here.